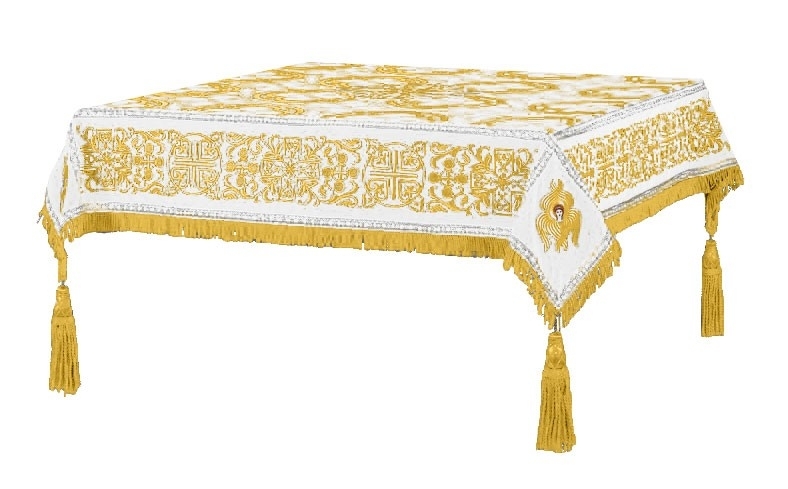 Is your old Holy Table cover showing signs of wear? Replace it with a new luxurious Holy Table cover supplied by Istok Church Supplies. 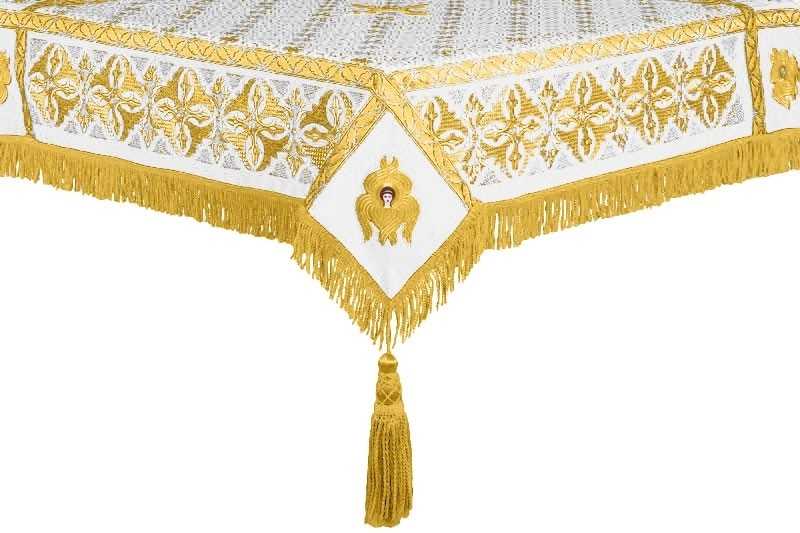 We offer church coverings in a wide range of liturgical color combinations and if you’re in need of a white-gold Holy Table cover, your search stops here! Symbolizing the life-giving Tomb of the Lord, the Holy Table is an important article of church furniture. A high quality cover made from luxurious material is placed over it for protection. 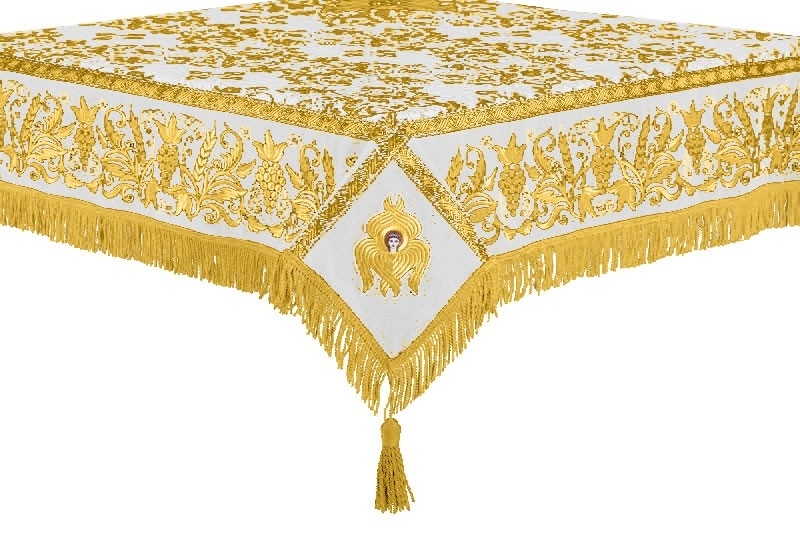 The white-gold Holy Table covers we offer are made from popular church fabrics such as rayon brocade, metallic brocade and embroidered material. We work closely with fabric suppliers to provide appealing brocade patterns and designs. Brocade covers are available for under two hundred dollars which make them a great choice for budget-conscious customers. 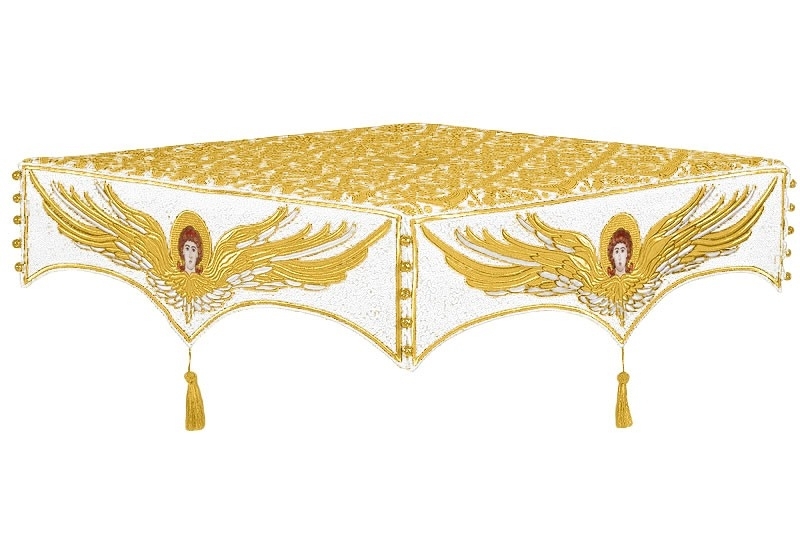 Embroidered white-gold Holy Table covers are perfect for customers looking for high-end options. With painstakingly rendered designs such as floral, angels, vines etc. and quality decorations such as galloon and tassels, they make a memorable impression on all those who view it. No matter which fabric you choose, you can be sure that the product will be durable and long-lasting. 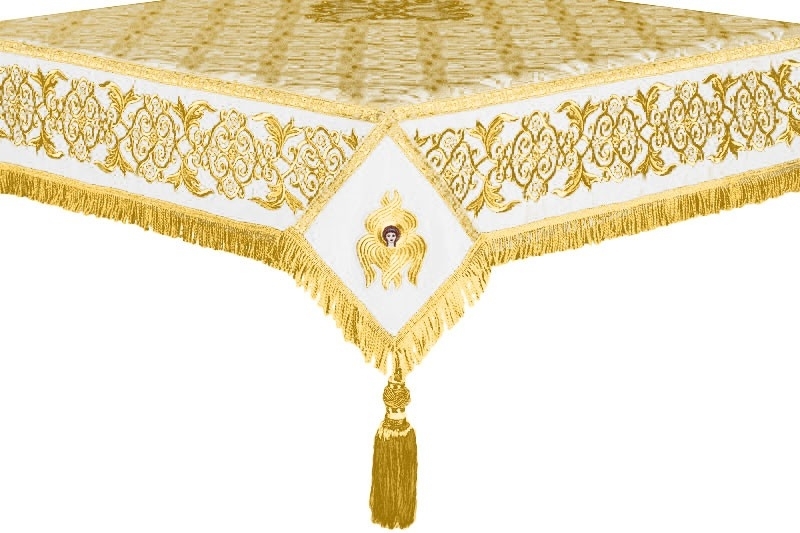 A white-gold Holy Table cover can used any time of the year but acquires special significance on days commemorating the Bodiless Powers. 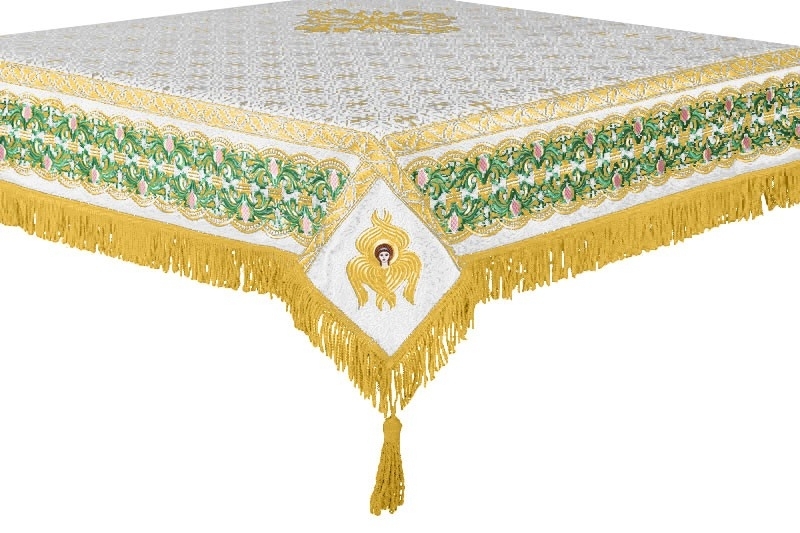 We offer savings of up to 25% on Holy Table covers. Although our online shopping models allows us to offer the best prices, we realize that customers cannot touch or feel the product. To compensate, we strive to provide a superior browsing experience and encourage customers to look at images closely in order to make the right choice. We are happy to answer any questions you may have. Customers can use the ‘Ask a Question about This Product’ link to communicate their queries. Save what you like by using the ‘Add to Cart’ or ‘Add to wish list’ option. Order as soon as possible and avail worldwide shipping services!